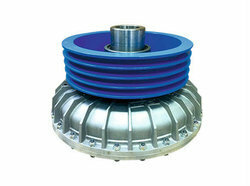 We are counted among one of the renowned manufacturers and suppliers of Equal Cross Couplings. Our range is in tune with international quality norms and standards. Furthermore, the rust & corrosion resistant products can sustain high load and pressure and hence, widely demanded across the country. Engaged in offering a qualitative range of Hydraulic Male Female Couplings. We also provide customized solution to meet the diverse requirements of the clients. These are designed and made from fine quality raw materials so as to offer best quality to the clients. 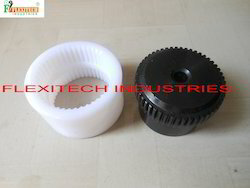 They are designed in compliance with the requirements of the clients and manufactured using latest technology machines. Assisted with highly advanced technology at our efficient manufacturing unit, we are able to manufacture and supply a wide range of Hydraulic Female Coupling. Backed by rich industry experience and market understanding, we are involved in offering a wide array of Diesel Pipe Rubber to our valued patrons.